FOR A LIMITED TIME: GET A 5% DISCOUNT ON RENTED CPMs. CALL US TODAY! Lymphedema is a chronic and progressive condition in which damage to the lymphatic system causes a buildup of lymph fluid in body tissues. It can be caused by a variety of conditions, and if not treated, can cause serious infection, decreased mobility or range of motion and great amounts of pain. While there is no cure for lymphedema, patients can manage their symptoms, minimize their risk of infection, and improve their health and quality of life. 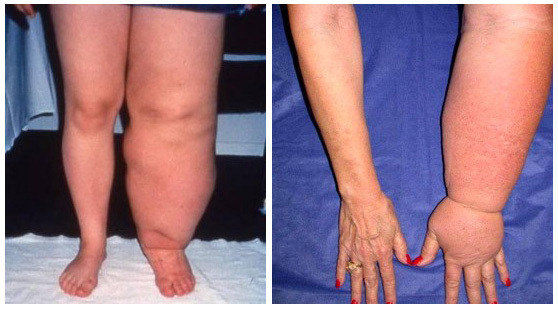 There are several methods for treating lymphedema. Compression stocking or compression wraps/bandages squeeze the limb, forcing fluid out. Another method of treating lymphedema is manual massage. The sequence of hand motions, mimics the physiological and anatomic principles of the lymphatic system and directs the fluid from swollen areas to functioning lymphatic areas. As much as we would all like to have our own personal masseuse at home, it isn't practical for most people. A Lymphedema Pump is an intermittent, pneumatic compression device with sequential gradient pressure. Similar to manual massage, a lymphedema pump mimics the physiological and anatomical principles of the lymphatic system. The lymphedema pump is proven to decrease limb volume and improve lymphatic function. 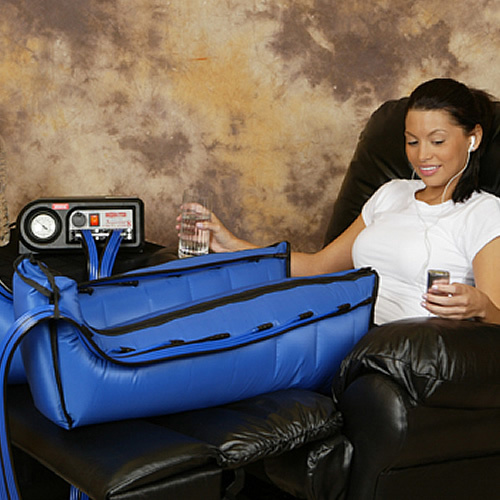 Most lymphedema pumps are lightweight, portable, easy-to-use, and cost-effective. They are intended for hospital or home use. Most can be used unilaterally (one limb) or bilaterally (two limbs). In addition to decreasing the size of the limb and improving lymphatic function, another advantage of having a lymphedema pump in your home is the treatment is available to you 24 hours a day. You don't have to set an appointment to use the machine. You don't have to waste time driving to an appointment. You can sit down, put on the garments and get treatment any time it is convenient for you. A lymphedema pump is the best way to reduce the swelling during the initial phase of use as well as limit the progression of the disease moving forward. Click here to visit our rent Lymphedema Pumps page. Click here to visit our buy Lymphedema Pumps page. If you have questions and/or concerns about which Lymphedema Pump is right for you, please call one of our friendly Patient Representatives for a free consultation at 877-301-4276.